Like The Godfather III, my early aughts affinity for Von Dutch, and the entire state of Delaware, it's better for everyone to just act as if Little Nicky never actually existed. Was Hilary Banks the Black Kelly Bundy? Or was Kelly Bundy the White Hilary Banks? Either way, the preternaturally ditzy (but good hearted) Hilary was necessary primarily so the other characters could react to her ditziness. Also, she was definitely the bourgiest ("Bourgie" with a "R." Not "bougie." And yes, there's a difference.) member of the Banks family. I realize that, for some, this is a pretty low placement on the list. But as important as Aunt Viv was, if you rewatch the series, she wasn't as vital to the show's zeitgeist as the characters below her were. Which is why the Black intelligentsia hubbub over Daphne Maxwell Reid replacing Janet Hubert after season three always felt unnecessary to me. Aunt Viv was the chopped tomato in the "Fresh Prince" guacamole. Sure, you'd miss it if it wasn't there. But it doesn't really matter if they're Cherry tomatoes or Globe. Continuing the analogy, if Aunt Viv was the tomato in the "Fresh Prince" guac, Geoffrey was the garlic. He was basically the show's Greek chorus, peeking his head in each scene to provide sarcastic commentary and wink at the audience. He also probably was the character with the most laughs per line. And, one day, I'm going to write some Fresh Prince fan fiction about a young Geoffrey's stint as a Black Jason Bourne. The polar opposite of Will, many of the show's plotlines, laughs, and even Very Special Moments pulled from both the juxtaposition of Will's and Carlton's persona and their bond. Also, while Geoffrey maybe induced the most laughs per line, Carlton created the biggest laughs, either from things he did/said or the reaction to things he did/said. 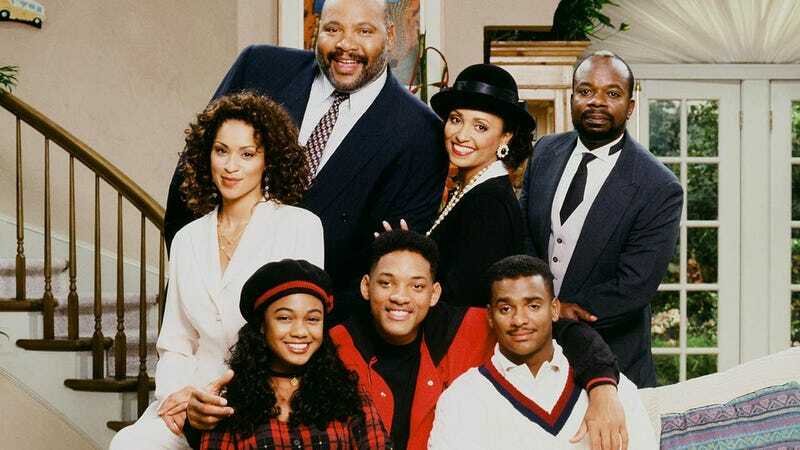 Although "The Fresh Prince" revolved around Will, Uncle Phil was its moral and emotional fulcrum. Also, related, he carried the single best scene from any 90s network TV show, and that matters.